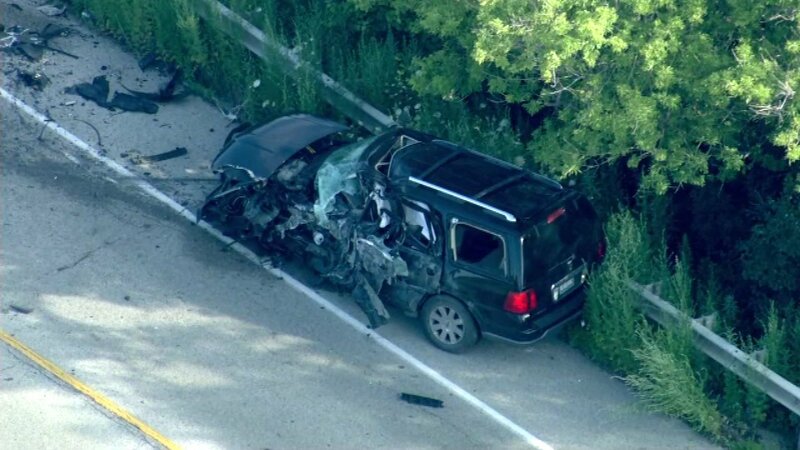 RICHMOND, Ill. (WLS) -- A person died Friday morning in a head-on collision in far north suburban Richmond. Chopper 7HD was over the scene on Route 12 near Kuhn Road around 7:30 a.m. The windshield of the SUV and driver's side were completely crushed. Another vehicle was visible a short distance away. The McHenry County Coroner's Office confirmed the fatality Friday morning, but did not release further details. Emergency crews closed Route 12 from Kuhn to Solon Road to clear the crash and conduct an investigation.